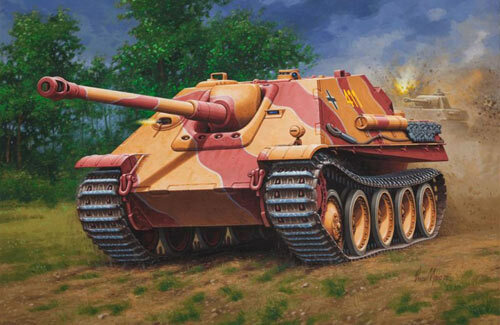 All Products > "03232 Revell 1/76 Jagdpanther"
A derivative of the famous Panther V tank, the Jagdpanther antitank vehicle proved superior to any allied opposition due to its successful combination of mobility, armour plating and fire power. 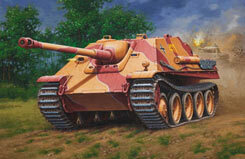 The jagdpanther, fitted with an 88 mm Pak 43/3 L/71, had gone in production in January 1944. Power unit: 600 hp V-12 Maybach petrol engine; maximum speed: 55 km/h; crew oh 5.